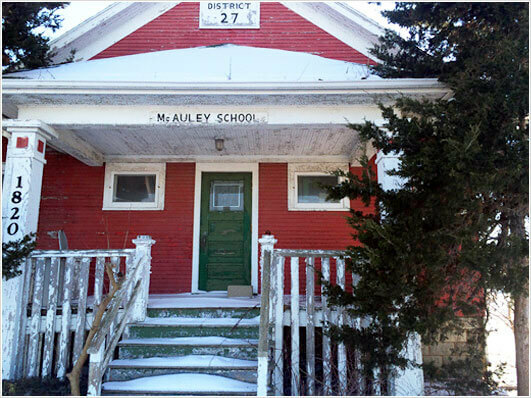 Landmarks Illinois named McAuley Schoolhouse as one of the 10 Most Endangered Sites for 2014. The single, one-story schoolhouse was built in 1913 and was the last functioning one-room school in Illinois when closed in 1992. Persons interested in the preservation of the building should visit the website https://www.facebook.com/McAuleySchool.